"You nearly run out of ways to describe what went on here, it's just horrific", Chief Deputy Hennepin County Attorney David Brown said. That would indicate that the only fear was felt by an elderly bus driver and 8-year-old child. "We do not believe there was a self-defense claim based upon the evidence that we have received so far", said prosecutor Dave Brown. "It is just horrific". Traffic cameras show Lilly, who appeared to be a uniformed security guard, pull his vehicle into a lane of traffic before getting out and making his way toward the bus. Police spokesman John Elder says the driver's injuries were not life-threatening. His gunfire grazed the side of the driver's head and struck his left arm. He walked to the passenger door and reportedly tried to get onto the bus. 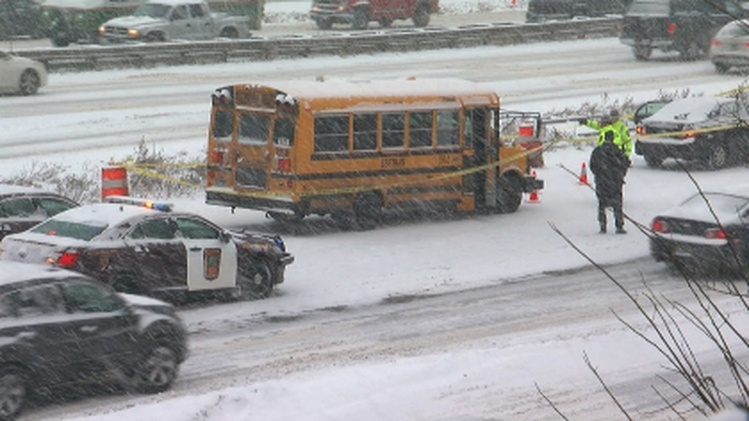 Law enforcement authorities responded to a report of a shooting on the interstate at Chicago Avenue in Minneapolis at 2:14 p.m. Tuesday. The driver told Lilly he could not get on because a child was onboard, the complaint states. Video showed Lilly walk towards the driver's side of the bus and pull out a 9 millimeter semiautomatic pistol. He told officers he shot the driver because he feared for his safety.